John Whitehorse is a shaman trained by the Four Winds Society and initiated in Peru by indigenous Shamans of the Q'ero tribe located in the High Andes. He has received multiple rites and initiations, including the nine rites of the Munay-Ki, which were energetically transmitted in Peru by the indigenous shaman elders. His private practice is located in Santa Fe, New Mexico and in Denver, Colorado. Then through a period of self examination he started fundraising for a national charity. Through this service for others he began to find himself. Driving to his executive office he really began to question an unexamined life. It was time for a change and re-invent who John "was". That's when the path of the Shaman opened up and presented itself in an unexpected way. John took action into the unknown and trusted his intuition. John met his future self through his shamanic work and journey. When John stepped on this path he met his twin flame and wife Kristen who shares similar core beliefs of spirituality and living the life you deserve. A life free from traditional expectations, and projections, and be in a place of service to others. When spirit calls, John offers a cultural spiritual immersion experience in Peru with the shamans from the film. He has a vision in the works to share their teachings with the planet through the development of a College of Shamanic Healing Arts. The guiding principle is that the training and the connection to this lineage will help support the awakening of consciousness unfolding on the planet right now. The ancient shamans foretold of this time in the future hundreds of years ago, we are now able to "dream into being" a deep level of transformation for all who seek illumination. To schedule a Shamanic Energy Medicine Healing Session with John Whitehorse or to learn about Shamanic Healing Packages, the Indigenous Shamanic Healing Arts Mentor Program and a Personal Healing Journey with Holistic Life Coaching. Click here to visit the Energy Sessions page. Private Shamanic Energy Medicine Healing Sessions with John Whitehorse can be used to reduce stress, activate happiness and joy, increase your sense of well-being, help you manage life transitions such as divorce, death of a loved one, health issues, reduce stress and anxiety, and support coping with the trauma associated with unexpected events such as accidents and emotional wounding. During a private session, you may discover these emotional wounds may come from a past life, during birth or as a small child. Often, you may have no idea where this wounding occurred, but nevertheless it did. These events and their impact on your soul are the unknown and invisible energies that the shaman tracks and removes from your energy field with an energy medicine session. Physical and emotional symptoms that may be relieved or reduced with a series of Shamanic Energy Medicine Healing sessions include trembling, jumpiness, depression, insomnia, panic, fear, repetitive thoughts, emotional highs and lows, anxiety, perspiration, tension in muscles, sadness, sense of dread and irrational fears. Energy Medicine is an alternative healing modality and is used for support with any conventional treatment. This is not designed to replace medications, treatments or professional advice from your medical doctors. 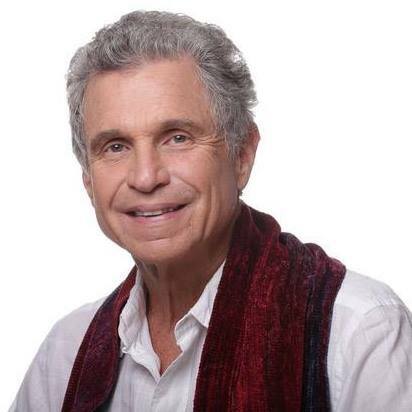 John Whitehorse Schwab is certified shamanic practitioner, a graduate of The Four Winds Light Body School & has trained in the US & South America. The Four Winds Light Body School offers the world’s most extensive professional trainings in energy medicine based on the 50,000- year-old wisdom teachings of the ancient Americans. The goal of the Four Winds Society is to teach individuals how to become modern day shamans. Modern day shamans are men and women who are willing to be visionaries and healers in their families and communities. They learn to live in balance, and share their skills to be of deepest service and make a difference in the world. The program was developed by founder Dr. Alberto Villoldo, who has spent more that 30 years studying with the medicine and wisdom keepers of the Andes and the Amazon. John's mentor is Alberto Villoldo. 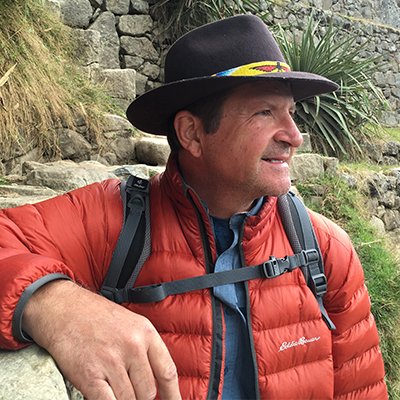 Alberto Villoldo, Ph.D., a psychologist and medical anthropologist, has studied the healing practices of the Amazon and Inka shamans for more than 25 years. While at San Francisco State University, he founded the Biological Self-Regulation Laboratory to study how the mind creates psychosomatic health and disease. Dr. Villoldo directs The Four Winds Society, where he trains individuals throughout the world in the practice of energy medicine. Founder of The Four Winds Society, Alberto instructs individuals throughout the world in the practice of energy medicine. Dr. Villoldo has written numerous best-selling books, including Shaman, Healer, Sage; The Four Insights, Courageous Dreaming and Power Up Your Brain. Dr. Alberto Villoldo studied with a number of the Laika elders to distill the essence of their healing practices of energy medicine. He trained with the jungle medicine people and traveled and collected stories and healing practices from the Nazca region to Lake Titcaca, the Sea on Top of the World, which legends say the Inka were born. Working with Don Antonio Alberto reconstructed the many threads of the Laika healing traditions to create a set of sacred technologies that transform the body, heal the soul, and can change the way we live and the way we die. They explain that we are surrounded by a Luminous Energy Field (LEF) whose source is located in infinity, a matrix that maintains the health and vibrancy of the physical body. "When you practice living consciously, you're fully conscious of the impact of each thought, intention, and action you have, and you take care to make them positive and healing instead of selfish and destructive."